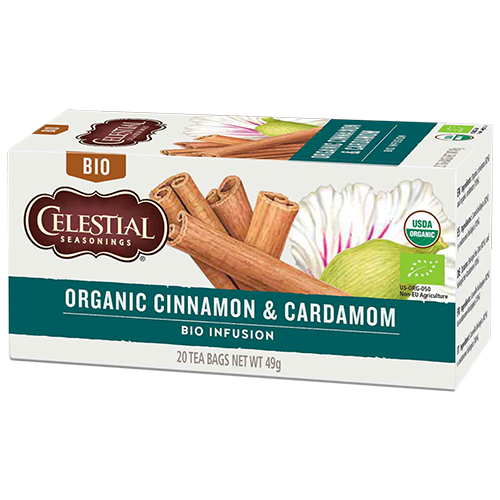 Celestial tea Organic Cinnamon & Cardamom tea bags gives a delicious tea with a taste of cinnamon and cardamom. The tea is both sweet and spicy at the same time. This tea creates an inviting mix with the power to transport you to a warm and exotic place.